How to get to Creative Space? - Veled vagyunk teljesek! Creative Space Training Center is located in Hollókő (Nógrád county), a little village on the north part of the country, approximately 100 km from Budapest. Here is the travel guide for you to make your trip from Budapest to Creative Space easy and smooth. Take the bus 200E just in front of the exit gate. It takes you to Kőbánya-Kispest metro station (metro 3, blue line). You have to buy a ticket on the bus which costs 350 Ft.
Buy a ticket (vonaljegy) in the metro station (in a ticket office/from a controller/from a ticket ATM). It costs 350 Ft.
Take metro 3 until Deák Ferenc tér metro station. Get off in Deák Ferenc tér és change to metro 2 (red line) in the direction Örs vezér tér. You don’t have to buy another ticket. Take metro 2 until Puskás Ferenc Stadion metro station. Get off. Here you find the big bus station from where your bus goes to Hollókő. Adult ticket costs 2200 Ft.
Take metro 3 until Újpest-Városkapu metro station. Here you find the big bus station from where your bus will take you to Hollókő. Adult ticket costs 2200 Ft.
Take metro 3 until Nyugati pályaudvar (railway station) metro station in the direction of Újpest-központ. Get off in Nyugati pályaudvar. Here you will find the organized group bus. You will get more information about the exact spot and the price of the bus from the coordinators. Take metro 3 (blue line) in the direction of Újpest-Központ until Deák Ferenc tér metro station. You have to buy a ticket which costs 350 Ft.
Get off in Deák Ferenc tér and change to metro 2 (red line) in the direction of Örs vezér tér. You don’t have to buy another ticket. 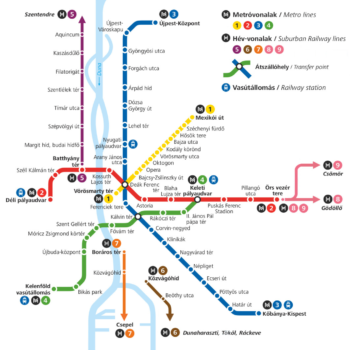 Take metro 2 until Stadionok metro station. Take metro 3 (blue line) in the direction of Újpest-Központ. Get off at Újpest-Városkapu metro station. You have to buy a ticket which costs 350 Ft.
Take metro 3 (blue line) in the direction of Újpest-Központ. Get off at Nyugati pályaudvar (railway station) metro station. You have to buy a ticket which costs 350 Ft.
Take metro 2 (red line) in the direction of Örs vezér tér. You have to buy a ticket which costs 350 Ft.
Get off at Stadionok metro station. Here you find the big bus station from where your bus goes to Hollókő. 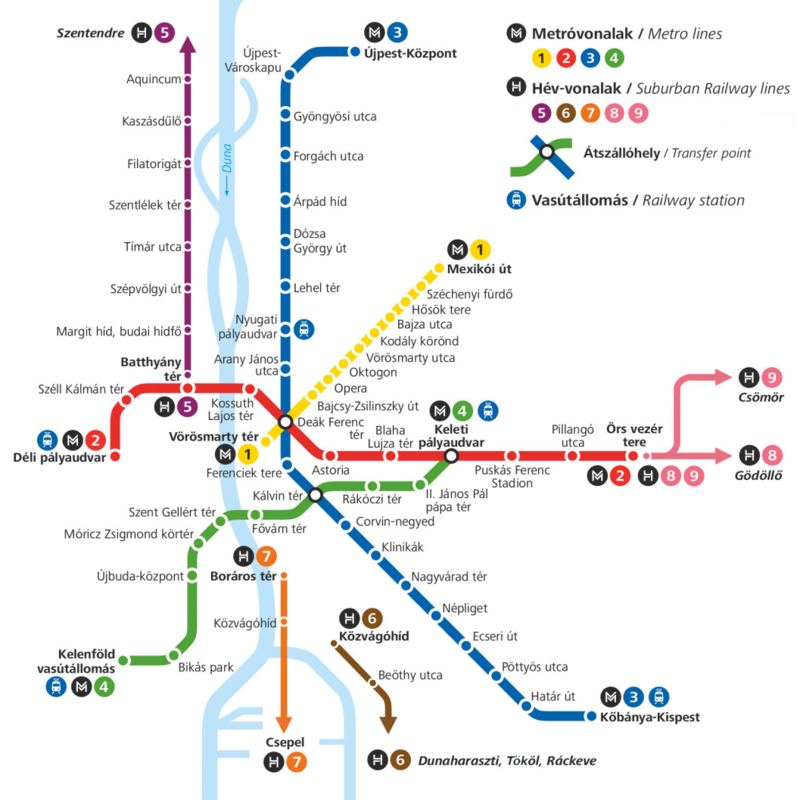 Adult ticket costs 2200 Ft.
Take metro 2 (red line) in the direction of Déli pályaudvar. You have to buy a ticket which costs 350 Ft. Get off at Deák Ferenc metro station. Here you need to change. Take metro 3 (blue line) in the direction of Újpest-Központ. You don’t need to buy another ticket. Get off at Újpest-Városkapu. Here you find the big bus station from where your bus will take you to Hollókő. Adult ticket costs 2200 Ft.
Get off at Stadionok metro station. Here you find the big bus station from where your bus goes to Hollókő. Adult ticket costs 2200 Ft.
Get off at Deák Ferenc metro station. Here you need to change. Take metro 2 (red line) in the direction of Örs vezér tér. You have to buy a ticket which costs 350 Ft. Get off at Deák Ferenc metro station. Here you need to change. Get off at Nyugati pályaudvar metro station. Here you find the organized group bus. You will get more information about the exact spot and the price of the bus from the coordinators. Creative Space is located on the top of a hill from where you can have an amazing panorama on the village and the nature around. From the bus station walk back around 100 m.
At the first crossroads turn to the right (Orgona utca). You can see here also a wooden arrow signing the way to Panorama Panzió. Walk up on the hill. At the end of the street you will see the big house of Creative Space Training Center. Here is a short video guide to show you the way!